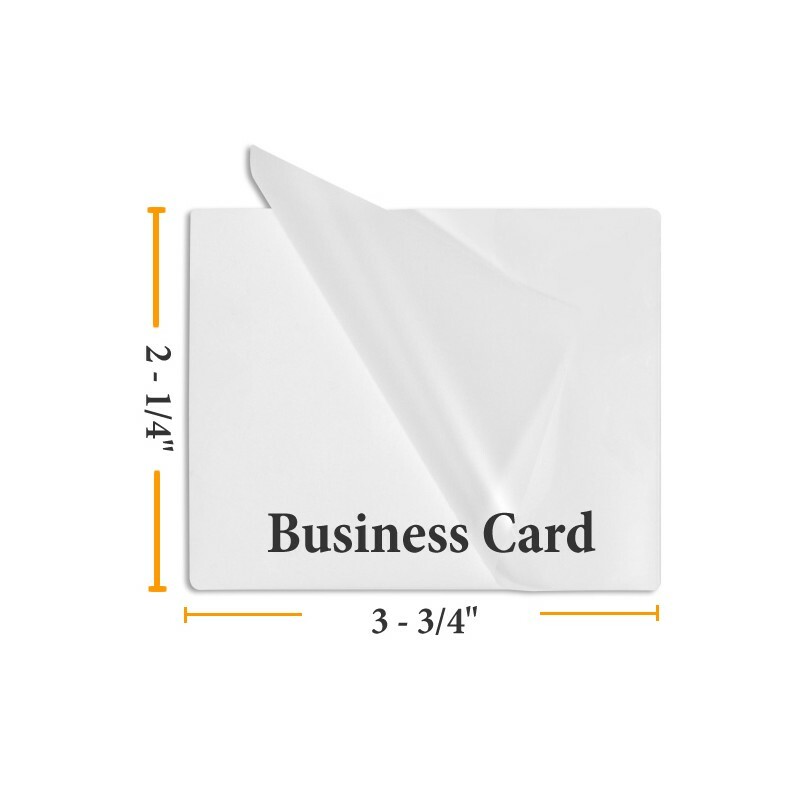 Our business card laminating pouches are comparable with IBICO, GBC, 3M, Scotch and other brands available at major office retail stores like Staples & Office Depot. Pouches can be used in most thermal laminator machine. Check your laminator user guide for maximum pouch width and thickness. Compare our prices with big box office supply stores and you'll never buy from them again. These same pouches at Staples would cost you almost $16! That's almost 4 times our price. Customers tell us that our pouche provide a superior laminated product too. 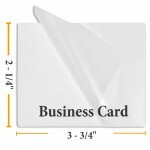 Business card laminating sleeves (pouches) protect small documents that are standard business card size from spills, stains, tearing and folding. Our quality card laminating pouches are intended to be used in a hot pouch laminating machine, such as our PL4A Card Pouch Laminator. 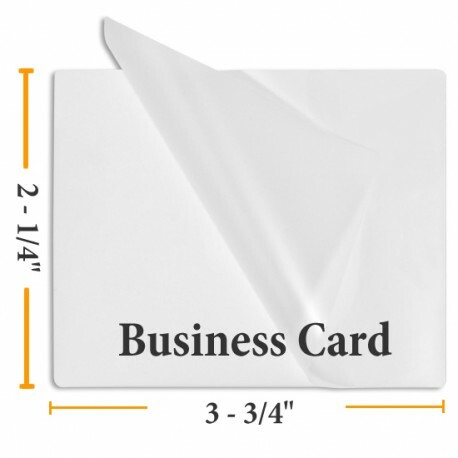 A business card size laminating pouch is precut to size and pouch is sealed on one edge for your convenience. The document or item is placed inside the laminating pouch and placed in the thermal pouch laminating machine to seal. 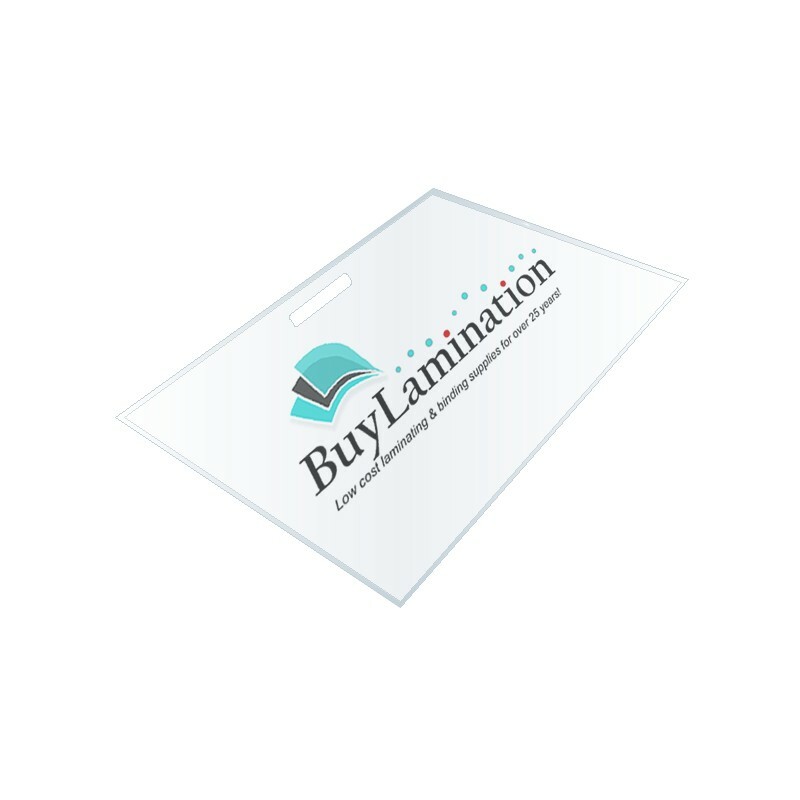 Take a look at our Bulk Business Card Laminating Pouche Prices! ALSO, we offer a Price Quote for large volume one time orders and a Preferred Customer Program for those who order frequently. Let us beat your current vendor's pricing! 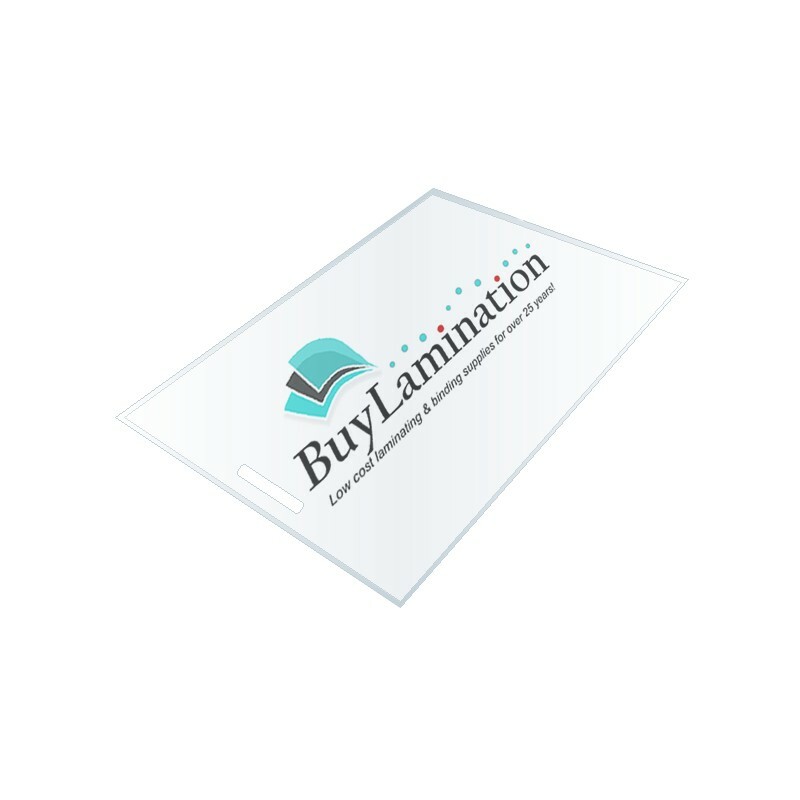 Our excellent customer service, quality products and prompt shipping will make you happy you switched to BuyLamination.com!